Reduced $200,000! 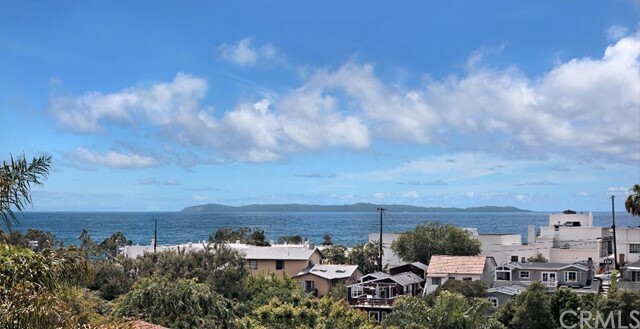 Live in the highly sought-after Laguna Village, close to to town and beaches, and still enjoy privacy, ample space and sweeping ocean views! 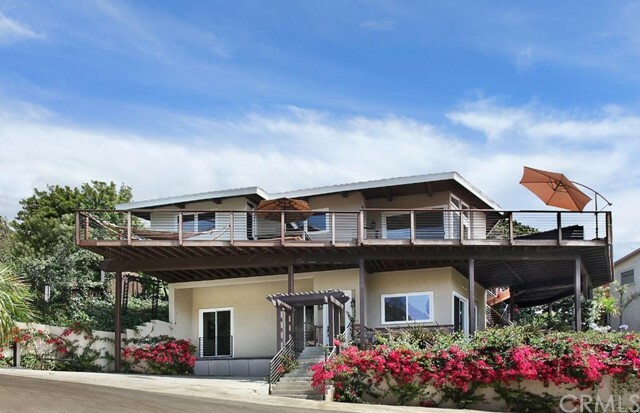 This beautifully remodeled home is nestled on the rim of a tree-lined valley, with views of the town, sparkling Pacific ocean and sunsets over Catalina Island. A stylish contemporary design, the home features 4 bedrooms, 3 baths, a large downstairs family room, a study (which could be a 5th bedroom), huge exotic hardwood decks, private patios, gardens and courtyards – all just blocks from the sand and an easy stroll to the heart of downtown Laguna, with its famous fine dining, shopping and art galleries. Vast, open-beam ceilings, creative use of glass, and a harmonious combination of natural stone, walnut and honed concrete flooring, granite counters, stainless appliances, and an oversized fireplace. Multiple entertaining areas flow outward to the enormous wrap-around ironwood deck, salt-finished patios, and lush colorful landscaping with a rock water-wall. The home is perfectly positioned on a street-to-street lot with access from Wendt Terrace above, and also from a quiet cul-de-sac below, with ample parking. Escape to this private retreat which embodies the perfect Laguna Beach lifestyle!